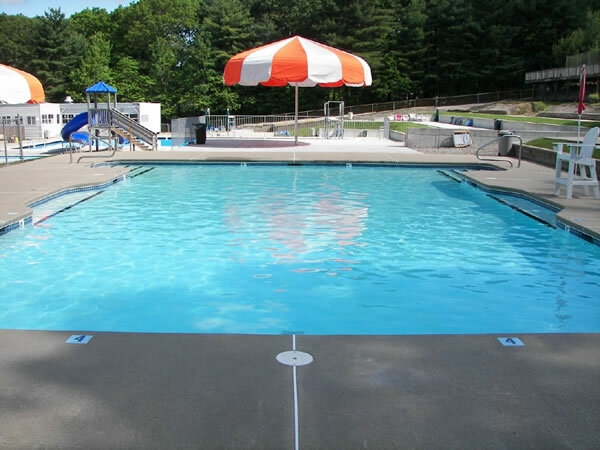 Park Terrace Swim Club, located in Plainville, MA., is situated in a beautiful park like setting surrounded on all sides by tall trees. 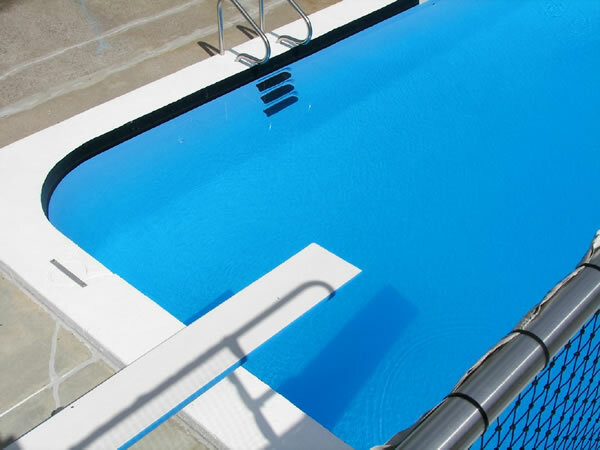 We have two smaller pools just for the little ones. 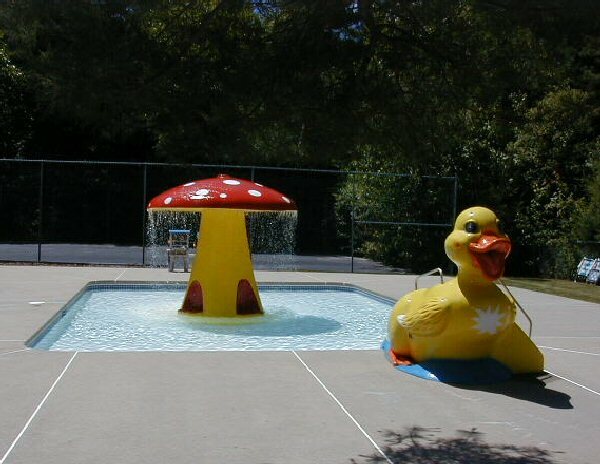 One toddler pool features a large, colorful mushroom umbrella that has water cascading off all around it's top and a big yellow duck that has a slide down its back. 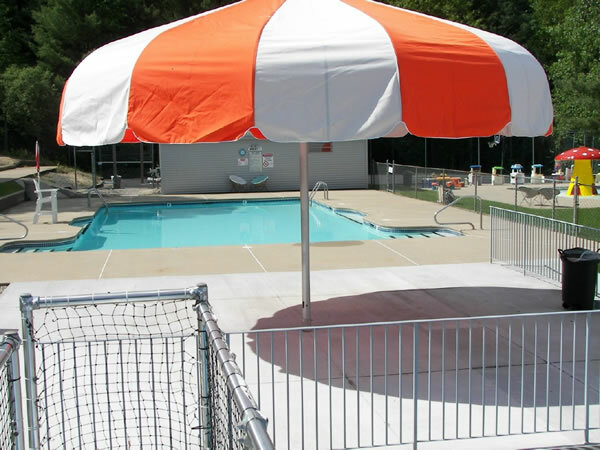 The other pool is approximately 12 inches deep and is great to play and splash around in with other toddlers..
We have spacious concrete decks as well as grassy areas for you to lounge and sun bathe. Members are invited to bring their chairs and loungers and pick an ideal spot to spend the day in the sun. For the sports enthusiasts, we have two tennis courts,a basketball court, a four square court, a horseshoe and Funway Hitter's Park. Our dining room features a great selection of snacks and beverages for lunch, dinner or anytime. Also check out the video game room, a favorite with the kids. 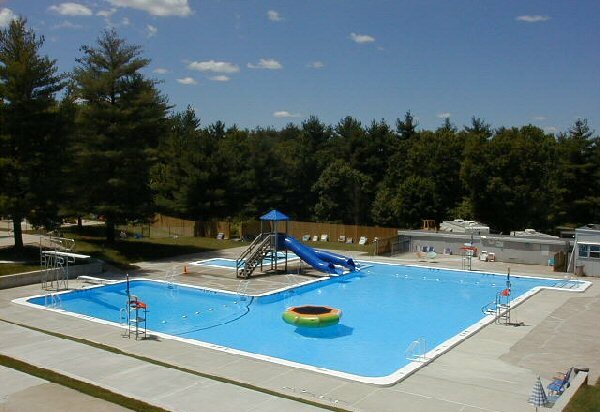 Park Terrace is also a great place to hold your wet 'n' wild party. 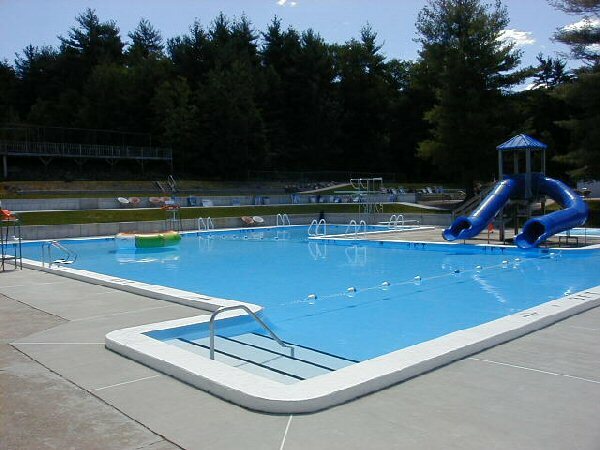 We offer swimming lessons to ages 3 and up. Your child has to be completely potty trained. 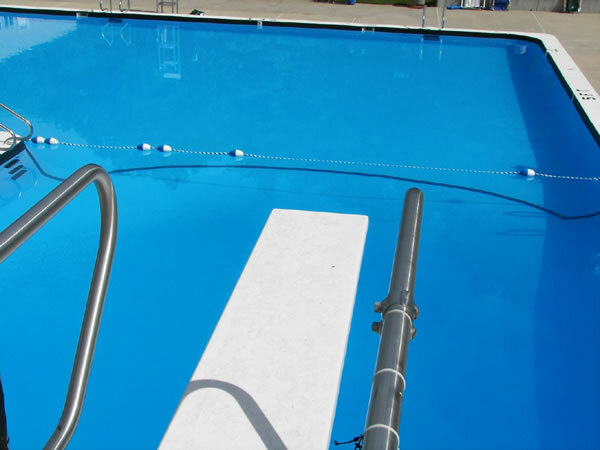 Click here for swim lesson application form. 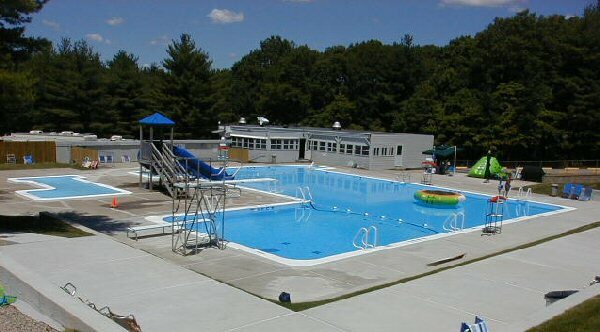 Certified lifeguards are on duty poolside and are trained in CPR. 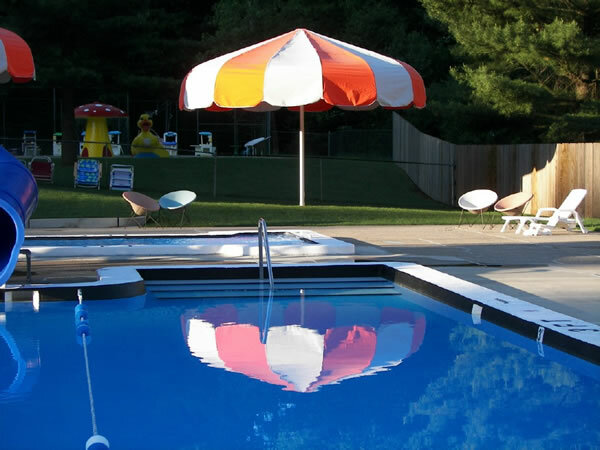 Our friendly staff and management are professionals and work hard to make this the BEST family oriented swim club in the area. 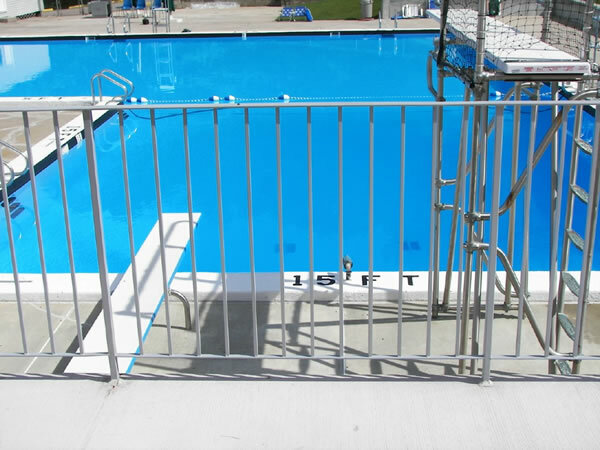 copyright © 2011 by Park Terrace Swim Club. All Rights Reserved. 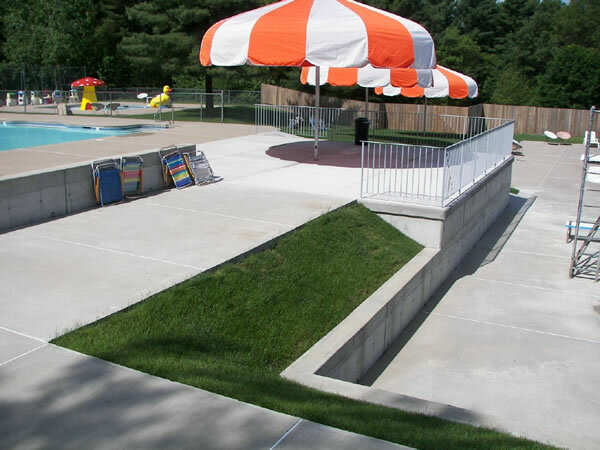 This site designed and maintained by Guffco .